Binance exchange has become one of the top exchanges of cryptocurrency. In a very short span of time, Binance has impressed its users and crypto enthusiasts in many ways. Binance is one of the newer cryptocurrency exchange and has already secured its place in top ten while writing this article. Almost all the newly launched coins are getting listed on Binance. It offers a variety of languages and trade pairs. The first and foremost thing is to open an account on the Binance platform. 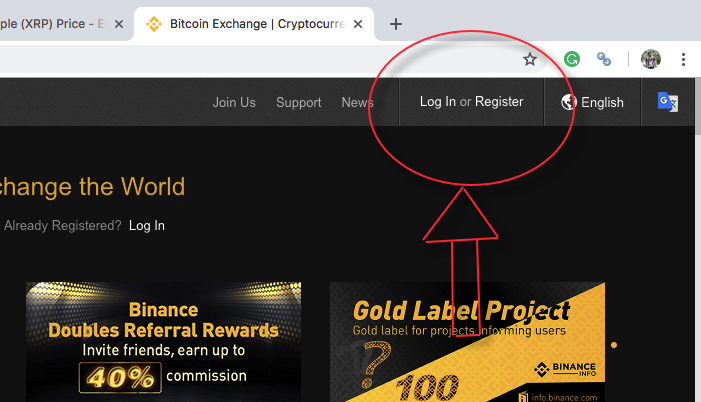 Go to the Binance link and click on Login or register on the upper right corner. 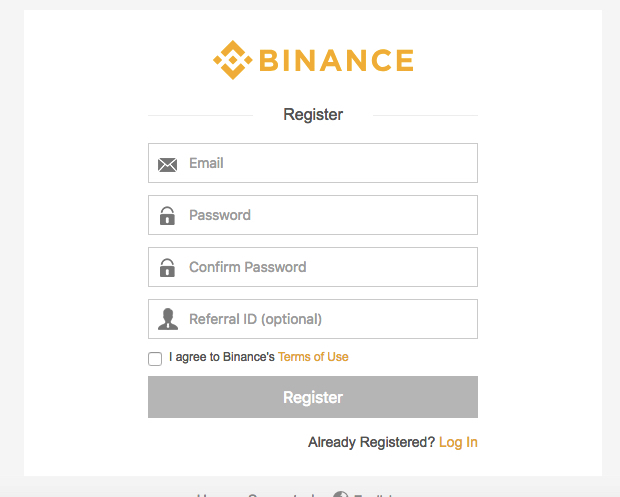 Fill in the details and make sure you select a strong like really strong password and hit register to register your account on Binance. You should bookmark the link as there are many phishing sites similar to this which are always looking for hacking your data. You must receive an email to confirm your account so keep an eye on your email and complete the process. Two-factor authentication is highly recommended in these exchanges as it adds an extra security layer to your account. With just one extra step to enable two-factor authentication, you can increase the security of your account. If you are new to the two-factor authentication you need to download the Google Authenticator application on Google Play and enter the code to activate it. 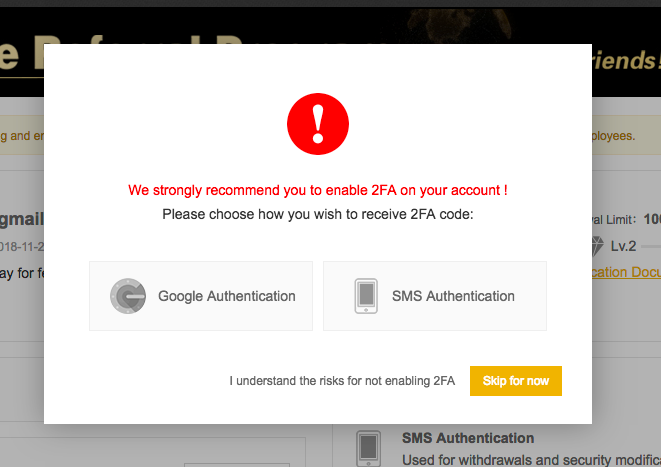 Once you have enabled two-factor authentication you are done with your Binance account set up. So, you have set up your account, you need to deposit fund to your account. Depositing bitcoin or Ethereum is the most convenient cryptocurrency deposit on Binance. There is no depositing Fee however withdrawal fee is applied and that varies on different factors. There is a vast trade pair available with these coins. In order to trade XRP you need either Bitcoin or Ethereum in Binance. - Go to the Funds menu. - A deposit page will be open for you. - Copy the generated deposit address. Now you have generated your Bitcoin or ethereum address. You need to send the coins from your wallet or exchange to this address. Note: - Make sure you send it to correct address as if you send it to incorrect by mistake it is not irreversible. 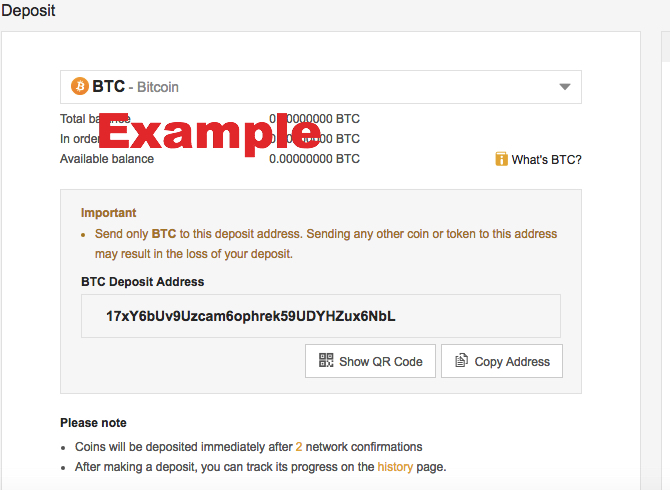 Once you send your coins to the Binance by sending it to this address, you should receive an email confirmation that the coins have been deposited. It usually takes half an hour or an hour for the coins to get transferred, so do not panic. 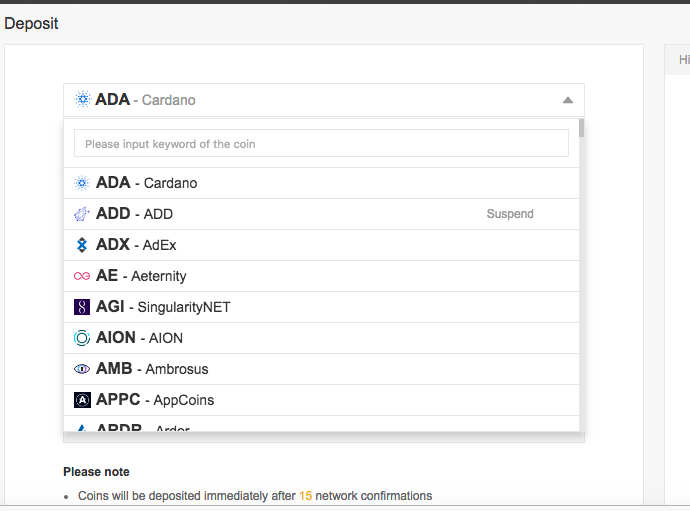 Check your Binance wallet to get fully confirmed if the coins are transferred. To check the balance of your Binance wallet, go to Funds and click on balances. 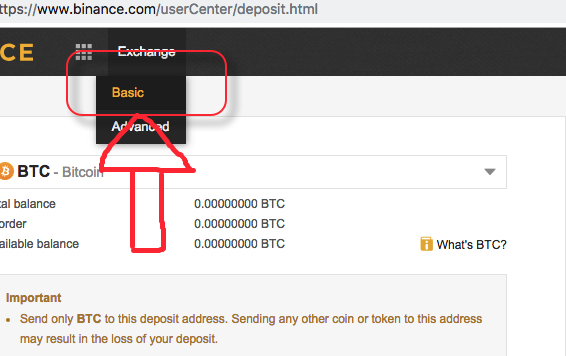 If your deposit is confirmed the coin with the worth will appear in the list and if you have multiple coins in Binance you can use search bar too. Rare are the cases when coins are not deposited, open a support case immediately in that case. To place buy request for Ripple, go to the exchange and click on Basic. This will load the basic trading page for you. When the page is completely loaded, locate the Ripple trade pair you want to trade. If you have BTC to trade XRP, you must search for XRP/BTC pair and if you have Ethereum, the search should be XRP/ETH. The process for both Ethereum and Bitcoin will be same except the selection. Select the trading pair and a price chart should appear on the screen. Now you will see two options Limit and Market. Use the limit tab to buy XRP at the lower price than the market. With Limit buy you create an order at that specific price and when the price will go low, your order will be completed automatically. Enter the Price of Ripple in Bitcoin or Ethereum you want to buy Ripple at. In the next box “Amount” you are supposed to enter the amount of Ripple you want to buy, and this should calculate the amount in Bitcoin and Ethereum. The last and next step is to click on Buy XRP. If you are playing with cryptocurrencies for the first time you can select market buy and purchase at the market rate. The Binance trading fee is 0.1% which will be deducted once your purchase is complete. Every time you make a successful buy or sell order this fee will be charged. Congratulation you have purchased Ripple cryptocurrency now. This is definitely an asset for you. You can buy other cryptos following the same procedure on Binance. Once you have purchased Ripple, go to your account funds and the amount of Ripple should reflect there. If you do not see it in funds, refresh the page or re-login and it will be there. You can also download the Binance Application from iOS or google play store. The Binance app is completely free and user-friendly. Though there are some bugs reported the development team is actively working on it. Though the Binance is new a secure exchange to store, buy and sell your cryptocurrencies. It offers two-factor authentication and account verification. The architecture of the exchange includes various security protocol which is a very important factor for any crypto exchange. 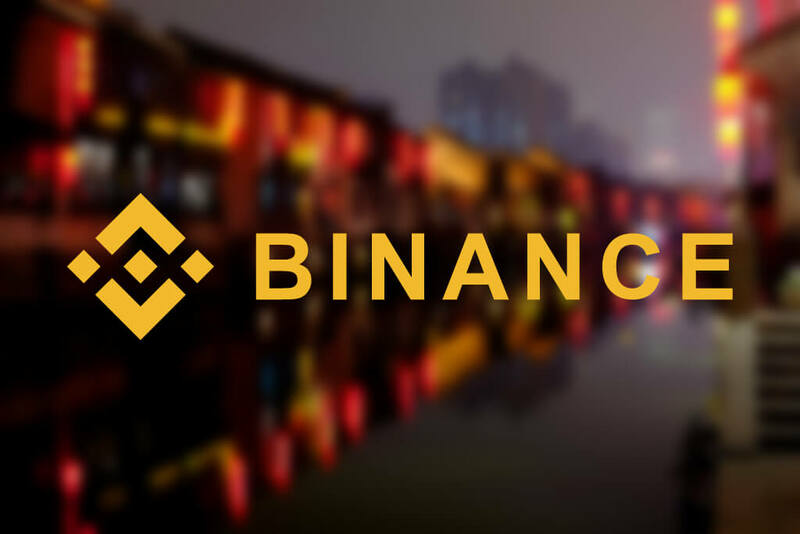 Binance is one of the cryptocurrency exchanges you can buy cryptocurrencies from but there are many more which offers wide variety and flexibility.